First debuting at FrightFest’s New Blood strand in 2016, James Crow’s Brit-horror House of Salem finally gets a DVD release. Josh (Liam Kelly) is a young child with special needs, being left in the care of a teenage babysitter while his parents go for an evening out. As she puts him to bed she teases him that he is getting a bit old for taking a cuddly toy to sleep with – a cuddly lamb – but he is adamant that he needs it and she acquiesces, leaving him to sleep and returning down stairs to indulge in the grand babysitter tradition of chatting on the phone. 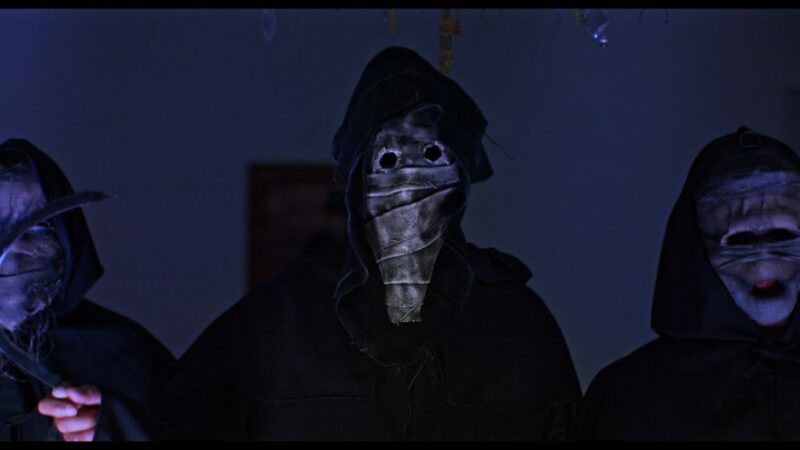 The peace of a domestic slumbering evening is about to be broken, however, as a group of creepily masked intruders make their way into the home, intent on snatching the boy. So far it’s not that different from any number of other home intrusion thrillers we’ve seen, except Josh hears a spectral warning just before the attack, and attempts to hide and evade his pursuers while his babysitter bravely tries to defend him, but it’s no use, and he is soon in the bag. Taken to a large but isolated old country house the masked gang, Josh is locked into one of the bedrooms while the gang’s leader Jacob (Leslie Mills) awaits more instructions from their mysterious employers, who will only get in touch via an old, vintage Bakelite landline phone. It is when they settle in for the long wait that the first cracks start to appear, as the different personalities in the gang assert themselves – the belligerent one who thinks nothing of violence or even murder, the cooler headed-one, the solitary women in the group, Nancy (Jessica Arterton), who seems least happy with the whole thing and is clearly protective of the child, despite having taken part in his kidnapping. Mills’ Jacob plays the hard-man leader, the sort who rarely shouts but is all the more threatening and scary for his seeming reserve – you just know this is a man who has done bad things and will do so again in a split second if anyone crosses him, and his authority forces the arguing individuals of his team to try and get along as they wait the night out. But this is no kidnapping for ransom, this child and this location have been chosen by their mysterious employers quite carefully and carry an awful history of previous, similar events, and it is a history Josh can see and hear. Josh lost a sibling years before and this closeness to death has left him sensitive – he hears noises and voices, then sees figures, usually other children his age, dressed in white sleepwear like him (his hooded onesie recalls Where the Wild Things Are) and bloodied. Are these trapped spirits of other children who had been brought here, and if so, what were they brought for. As with most heist/crime stories they are at their most compelling when it all goes wrong, and between the bickering gang members and then changing plans from their distant employers, then the external threat of someone else being around this supposedly safe house (creepily leaving a dead game animal hanging from a garden tree). No, this is no ransom for money at all, this has a darker – a satanic – element to it and Josh is part of that ritual, and it may be that Jacob knows more about the real reasons behind it all than he is letting on. While House of Salem has flaws, I’m not going to dwell on them as I think they were mostly down to the perennial problem for all Indy film-makers, lack of budget and shooting time. And while their resources may be slender (Primeval’s Andrew Lee Potts is billed as a star but in truth is only in it for a short time), Crow makes the most of what he has. It’s remarkable how much creepiness you can get just from figures in masks, both the kidnappers, then the Satanic cult members, both groups using very simple masks, nothing elaborate or complex here, but quite chilling in the way they dehumanise the figures and make them quite terrifying. The mix of 70s style hidden Satanic cult and the crime gone wrong bickering gang works well, and while most of the gang are stereotypes, Arterton’s Nancy is fleshed out more, her backstory slowly emerging (and her relation to leader Jacob, a sort of surrogate father figure), which gives more reason for her defence of Josh. Liam Kelly is quite outstanding as Josh, this young lad gives a superb performance in a complex emotional role as a traumatised child with psychological and emotional problems already, then dealing with the kidnapping, the voices and the visions, it’s quite a performance from one so young. 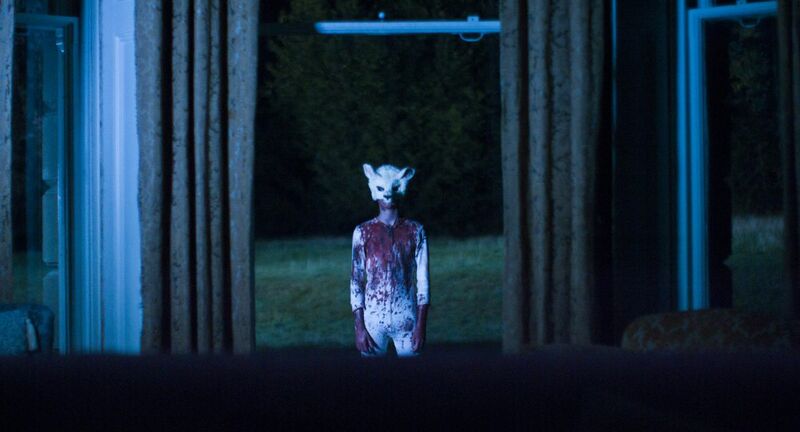 The film also works in some nice symbology too, notably the image of the lamb and blood which recurs and becomes increasingly creepy as it builds to a climax in the third reel. An intersting, inventive and frequently creepy Brit-horror, ideal for some late Saturday night viewing. 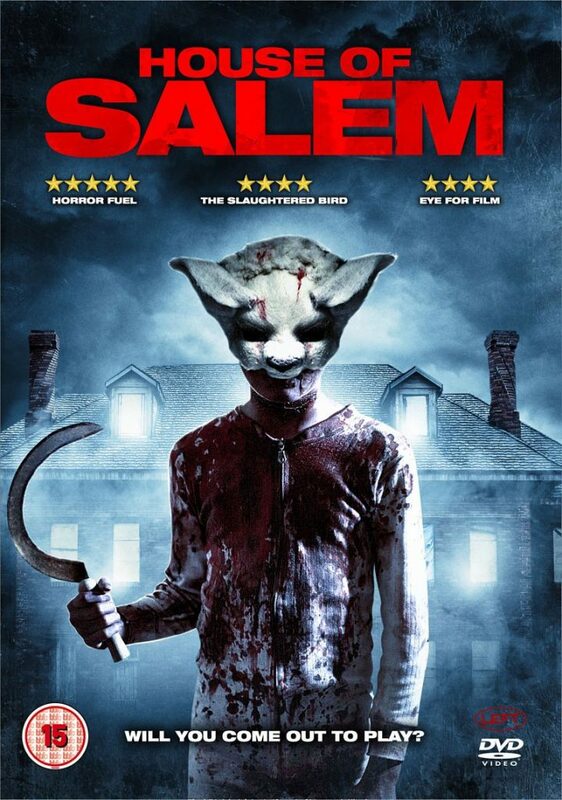 This entry was posted in film, horror, reviews and tagged Brit-horror, DVD, film, horror, House of Salem, James Crow, movie, review, reviews by Joe. Bookmark the permalink.